The Secret Blogger: April Magazine Freebies! So I was browsing in my WHSmtihs when I saw some great free gifts with magazines so I though I'd tell you all about them. With this issue you get a free trial size bottle of Pantene Pro-V repair and protect shampoo and conditioner (both 75ml), and these are fab travel sizes to take away with you and great to try before you buy. Have any of you already picked up these fab freebies? OK we need magazines like this in the US! Freebies inside? NICE! I love marie claire and I think that's the only publication you have that's available in the US. Red looks like a great magazine, what pill will make me look younger? I am all ears! 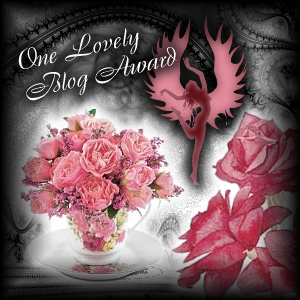 Visiting from the blog hop, hope you'll stop by and would you like to follow each other? oh i have to go and buy Red now, i havent used liz earle in years and quite fancy trying it again.... i bet they sell out quick!! I've got that Marie Claire issue (which is a really good one!) and I've tried the shampoo a few times and I'm really liking it! What brand is the eyeliner with company?? Not that it matters I guess, i'll get it anyway :) thanks for the tip! yeah, agree, we need such magazines here too. thanks for sharing, though. Thanks for sharing this. Love Magazines. Like the sound of the double ended liner with Company! Yeh, when I first saw it I didn't realise it was kate bosworth! LOVE the free gifts with mags, especially how expensive they are now here in Australia. Great post idea! Lovely blog! Following your blog now dear! Haul Time and 100 Followers!